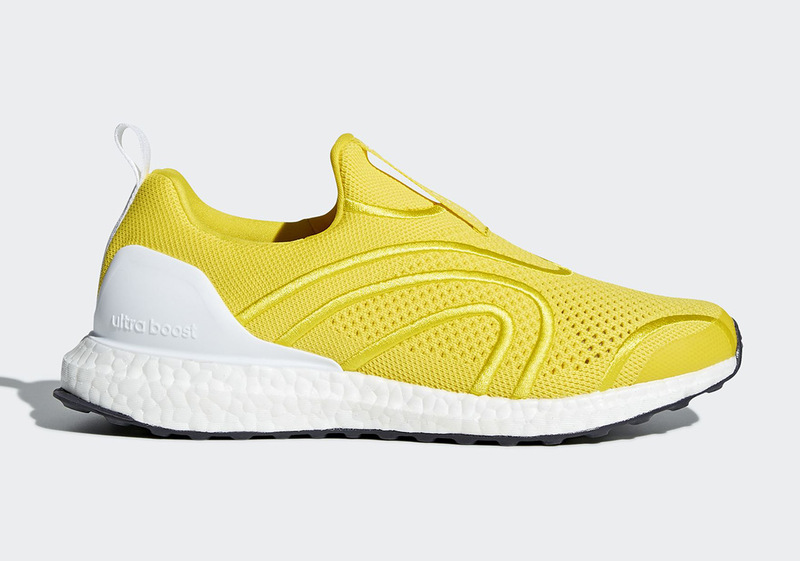 The ongoing partnership between Stella McCartney and the Three Stripes is back on BOOST with a brand new look for the adidas Ultra Boost Uncaged. While most partnerships with McCartney have featured a wild approach like the Ultra Boost x High, these three iterations add embroidered details that offer a sophisticated look to the sans-cage runner – an already existing model. Each selection comes with two “Stella McCartney” embroidered details that adorn both the heel and tongue tabs in matching fonts which has become customary with this pairing. Eager fans of this women’s exclusive collection will have their choice of yellow, white, and black, with the white pair sporting a highly sought after black BOOST sole. Peep some images of the entire three-piece collection below and head over to adidas.com today to grab your favorite pair for $230 USD.